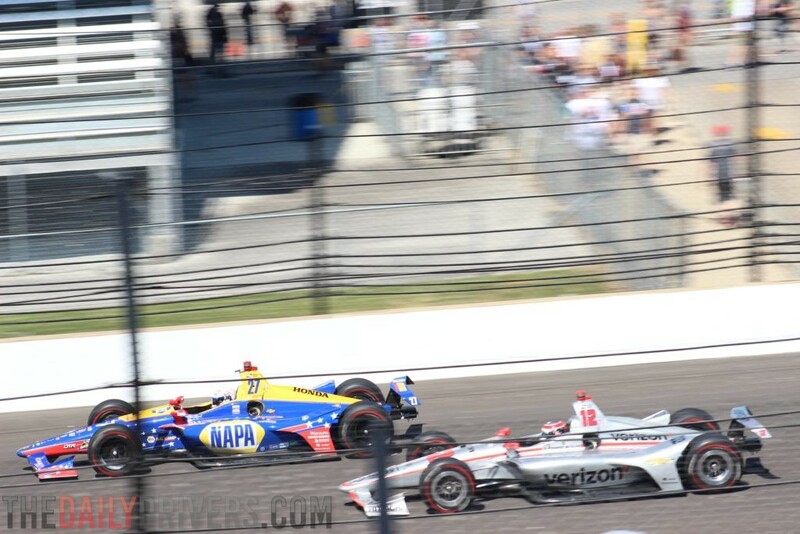 Will Power and Alexander Rossi practicing for the 2018 Indy 500. Don’t call it a comeback, they’ve been here for years! Yes, people are once again starting to notice IndyCar racing. Just now? Yes, just now. Growing up and living in Indiana, IndyCar has always been around and been a big deal, but what about the rest of the world? Well, the rest of the world is starting to notice once again. The 100th running of the Indy 500 was the first time I was able to watch the Indy 500 on television while living only 20 miles away from the track and the spectacle did not disappoint. For the first time in many many years, the race was sold out, and the television blackout was lifted. I believe this one race has more than aided the resurgence of IndyCar. I have read some opinions where people think IndyCar is not, and will not get back to where it was before the split to IRL and CART in 1994. My opinion is, we cannot compare IndyCar to the pre-1994 IndyCar, they are just too different of times. Would IndyCar be bigger than it is now if the split would not have happened? Who knows, but with how things changed during those 14 years both economically and technologically, I am not sure they would be in a better place or exist at all. If IndyCar would have remained the one series for top tier open wheel and ran in to some major issues, the whole series would have been gone. I think the competition from CART actually made IndyCar better in the long run. Yes, there have been years of small fields and lower attendance, but with good people put in place and hard work, IndyCar is growing. In 2019, there are more drivers and teams than we have seen in years. So many in fact, I say IndyCar should expand the fields at events. I know there are logistics with pit boxes and etc. but they need to take hold of this surge in IndyCar interest. NBC Sports has definitely noticed the resurgence and they have already been advertising the 2019 Indy 500, something ABC and ESPN missed the boat on and never seemed very important to them. NBC will be nationally televising 8 races this year! IndyCar racing is exciting, it has character, it has personality and personalities. 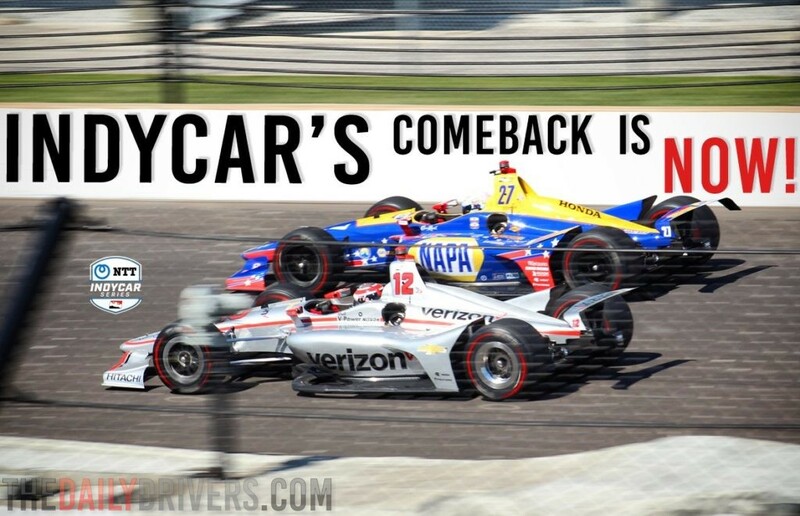 IndyCar has drama, some of it is very unfortunate drama like the terrible accident of Robert Wickens, but IndyCar has had some of the best races to watch in many years. 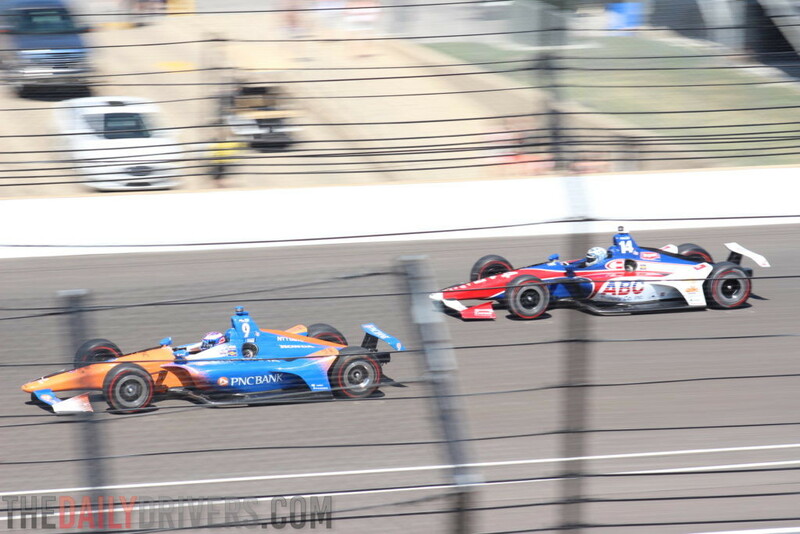 Scott Dixon and Tony Kanaan at Indianapolis Motor Speedway. In the past F1 racing drivers have come over to IndyCar trying to find success. Some found it is not as easy as they probably expected. Do not get me wrong, F1 cars are engineering marvels and amazing machines, but so many engineering marvels sometimes take away from the driver. Again, there seems to be another resurgence of F1 drivers giving IndyCar a shot. It is a double-edged sword with F1 talent coming to Indycar. On one side I would like to see F1 drivers be successful, but on the other side, I would like to see them get schooled by the regular IndyCar drivers. They all are amazing talents and my gut tells me it will only be a matter of time before they figure out how to get the most out of their IndyCar, but will it be enough to win? IndyCar has done a great job and reducing costs and providing a level playing field. It is not uncommon to see a so-called lower tier team get a victory. Something you will not usually see in the technologically marvelous F1 series. There have been F1 drivers who have been successful in IndyCar and there are those who have definitely not had success. F1 likes to act like they are not concerned with the popularity of IndyCar and they shouldn’t be concerned, they are different. In my personal opinion IndyCar has the better product with the playing field being more level than it is in F1, but that is just me. The 2019 season will be a fun one to watch and I expect more people will be watching. With NTT being the title sponsor now, I hope IndyCar can continue to get the financial backing and sponsorship needed for the teams to compete. Optmism is the name of the game with IndyCar right now. So if you have not watched or followed IndyCar lately, give it another try. You’ll be able to watch at least 8 races this season even if you don’t have cable.